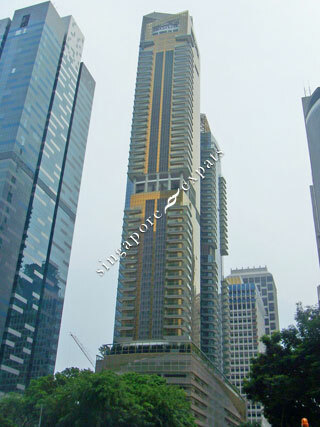 ONE SHENTON is located at 1 SHENTON WAY in district 01 (CBD, Chinatown, Marina Bay) of Singapore. ONE SHENTON is a 99-year Leasehold Condo development consisting of 341 units. ONE SHENTON is completed / TOP in 2010 (estimated), developed by CITY DEVELOPMENTS LTD.
Educational institutions like JEWELLERY DESIGN & MANAGEMENT INTERNATIONAL SCHOOL, INSWORLD INSTITUTE, CHATSWORTH INTERNATIONAL SCHOOL (ORCHARD), CANTONMENT PRIMARY SCHOOL, RIVER VALLEY PRIMARY SCHOOL and CHIJ (KELLOCK) are near to ONE SHENTON. ONE SHENTON is accessible via nearby DOWNTOWN, TELOK AYER and RAFFLES PLACE MRT Stations. awesome location and super well maintained development! Property in the heart of Singapore's Central Business District. Unparallelled city living. New condo, very good location! Has a sky gym with beautiful scenery! Easily access to MRT, with 24hrs food centre right beside it. Walk to your office within minutes.